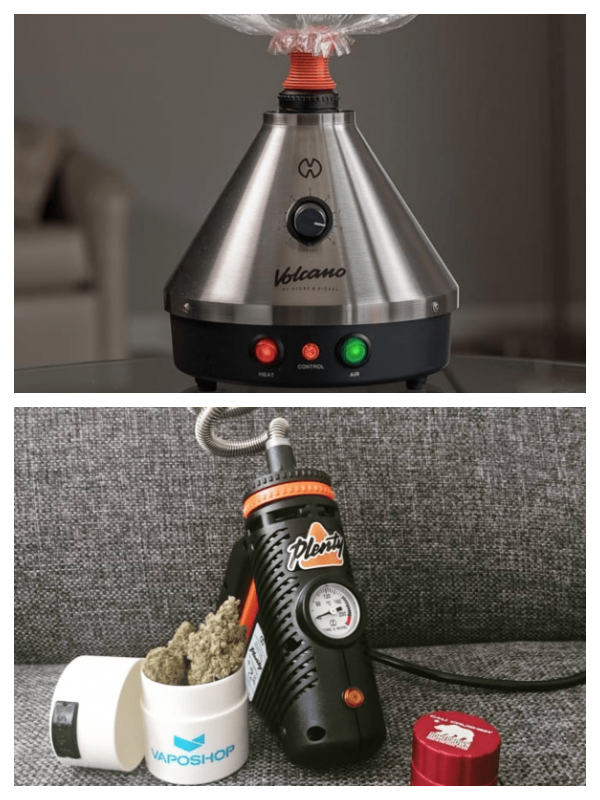 Volcano Vaporizer vs Plenty Vaporizer | Which is Best Tabletop Vaporizer!? There’s no getting around the fact that the Volcano Vaporizer is one of the best desktop vaporizers on the planet. For many, it is the gold standard by which all over vaporizers are measured by. 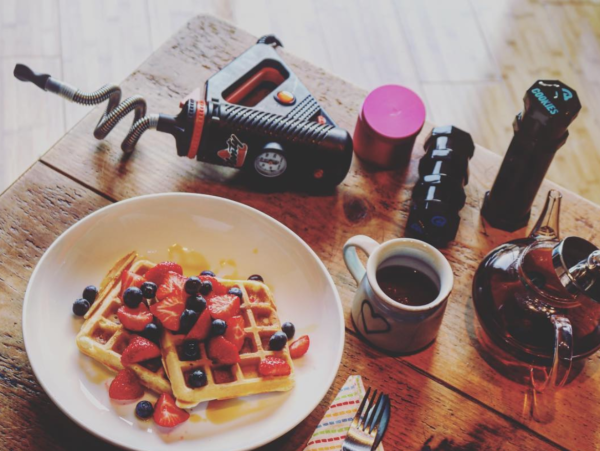 But it is very expensive and it does not do whip-style vaping. For this reason, I would actually recommend the Plenty Vaporizer over the Volcano for those looking at a desktop vaporizer. It’s cheaper (by quite a considerable margin) and it performs just as good. Whether you’re talking about overall power or vapor quality, the Plenty is more than a match for the Volcano. And, best of all, it is around $300 cheaper. I do love both, the Volcano is a mad man when it comes to pretty much everything, but I do think the Plenty has more appeal. It’s easier to use, it doesn’t require that you use balloons, and it is easy to set up and hit. Heat up times are mightily impressive too. As is vapor quality and flavor. But mostly it’s down to the price: the Plenty Vaporizer is cheaper and performs just as good. And for me, that’s a one big USP for this vaporizer. Both the Volcano Vaporizer and the Plenty Vaporizer are made by the same company, Storz and Bickel. These guys have been in business, making desktop vaporizers for over 20 years. That means they know a thing or two about building kickass dry herb vaporizers. 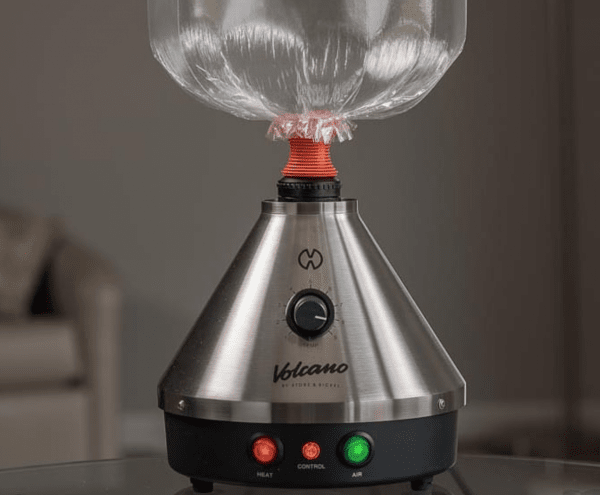 The Volcano Vaporizer, in one form or another, has been around for decades. The Plenty Vaporizer, on the other hand, is newer and less well known. The design of these vaporizers is the one thing that REALLY separates them; the Volcano is large, while the Plenty is smaller and more portable. Both vaping devices will run wax (concentrates) and dry herbs (weed), so if having both is a requirement for your needs, then you are 100% covered with either model. Let’s examine each desktop vaporizer in more detail. The Volcano Vaporizer is a pure, unadulterated desktop vaporizer. It’s big, it’s powerful, and it looks, well… kinda like a volcano. This is a forced air-style vaporizer that heats up the materials (weed, most likely) and then sends the vapor into a ballon. The balloon fills in seconds and can be completely detached, as well as sealed, so you take turns on it or save it for later. The materials and heating element ensures you get the purest possible vapor, free from any noxious chemicals. The flavor is incredible, as is the amount of vapor it can kick out! There are two models: the Classic and the Digital – the latter features an LED display (and is more expensive), while the former has a dial for adjusting the temperature. Either model produces the same, great-tasting vapor. The Volcano is super-simple to use and works like a charm every time. Plus, it’s mains-connected, so you don’t have the worry about battery life. You can get spares for everything too – from the bag (ballon) to all the moving parts. The Volcano was designed and made in Germany, so it is engineered to extremely exacting standards. It isn’t portable, for obvious reasons, but it is IDEAL for dinner parties, house parties, or when you’re doing a Netflix and Chill and want to impress your guest. The Wonderfully Bizarre Looking Plenty ($279.99) – It’s More Portable And The Vapor Production is STELLAR! 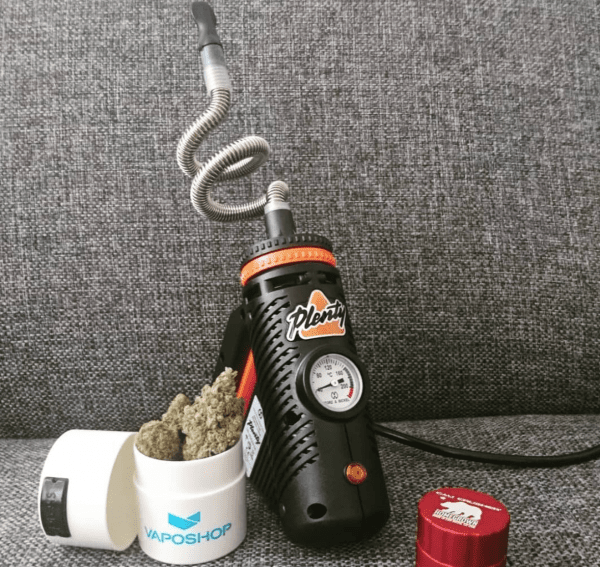 The Plenty Vaporizer, also made by Storz and Bickel, is a very different beast. It’s smaller, kinda portable, as it has a handle, and it costs less. The vapor production on it is immense, however, and there are no balloons – you take a hit direct from the device’s mouthpiece, which is connected via stainless steel tubing that cools the warmed vapor for a near-perfect hit every time. Like the Volcano, the Plenty Vaporizer is crafted from food-grade materials so as to ensure you get the purest-quality vapor from your dry herbs. The Plenty is a Whip-style vaporizer, as you can take hits directly on the device. This makes it a lot more popular with some users. Heat-up times are RAPID as well; you’re looking at 90 seconds for a full bowl, basically. The Plenty is ideal for anyone that wants something slightly smaller and something that lets you take hits directly from the device itself. It takes up less room, costs less, and kicks out the same, great vapor. Which Is Best Overall – The Volcano or The Plenty? This is a tough one to call, and it will largely depend on your own personal needs. If you just want a high-performance vaporizer that kicks out clean-tasting vapor that is packed full of flavor, either is perfect. However, if you’d prefer something slightly smaller, the Plenty definitely has the edge. Personally, I love the balloon system on the Volcano, as it always ensures the vapor is cool and easy to inhale. Both are RAPID when it comes to heating up materials and both have very accurate temperature control settings. If you’d prefer a whip-style vaping device (one you can take a hit directly from), then the Plenty is the way to go. Ditto if you want to spend less money – the Plenty is A LOT cheaper. Other than that, whichever one you go for you will be 100% blown away by. It’s like the difference between a 1.5-liter smart car and a 5.5 liter Mercedes C63 AMG. In other words: it’s night and day! These desktop vaporizers are immensely powerful in every regard, so if you want the best possible performance and vapor quality these are 100% your best options right now.